OK, so John got it sorta wrong. He figured that America’s “Great Anniversary Festival” should be celebrated on July 2nd, the day the unanimous vote was taken in the Second Continental Congress in Philadelphia. But, since July 4th was the day the Declaration of Independence was printed, distributed, and read on street corners throughout the colonies, and, well, that was the date at the top of the paper, so … here we are. 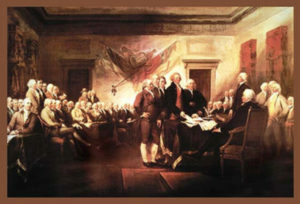 And there’s the famous John Trumbull painting of the ceremony in which the members of the Second Continental Congress signed the declaration on July 4th –> nope, that didn’t happen either. Most members signed the paper on August 2nd at the Pennsylvania State House. Some signed on other dates. The New York delegation was given permission to sign the document by their legislature on July 15th (since NY had abstained on July 2nd). Some signers hadn’t been elected to Congress yet in July. 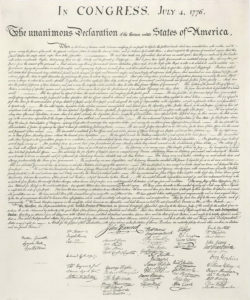 But, OK, the document we have today (a copy is framed over my workbench) has 56 signatures and it’s dated July 4, 1776. Done and done. A result, at least, of some powerful storytelling. some we can be proud of, some not so much. The signers of the document, rich, white, male property owners (many slave owners) with much to lose, pledged to support the declaration with “our lives, our fortunes, and our sacred honor.” The late eloquent American journalist Paul Harvey (Presidential Medal of Freedom, 2009), tells the stories of what those signers had to do to support that pledge. Give it a look; much of it is true and all of it is moving. America had a population of 2.5 million in 1776 — today we number about 326 million — and each of us has a role to play. The challenge of representative democracy as it has come down to the latest generation of Americans has required an evolving recipe of leadership and followership. We expect our leaders to represent us well on national and international stages; we judge them every day on their ability to make us proud, keep us safe, and promote the values we claim to believe in. We, in turn, ask each other to support those values as we exercise what the Declaration of Independence enshrined as our “inalienable rights”: “Life, Liberty, and the Pursuit of Happiness.” Our common expectation, or hope, is that we will find ways to pursue those inalienable rights without stepping on the rights of others; AND we agree that our government will protect the ability of each of us to exercise those rights — or at least not stand in our way. – disappointed with the “great experiment in Democracy” on this continent, in our town, in our neighborhood? And, let’s be frank, we often — often — find ourselves disappointed in our leaders, our fellow citizens, and at times, perhaps, even our own contributions to that agreement. What do we do? What should we do? What is expected of us when we expect more? 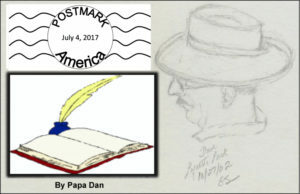 Truth is, few of us will be required to give what the signers of the declaration had to give, as Paul Harvey described; some will, but relatively few. What is our responsibility when we decide that our leaders do not represent our values and ourselves the way we expect? Is it sufficient to carry signs in crowds that express our disapproval? I think most of us believe that more is expected. After all, we’ve got it pretty good, most of us. What’s the line in the book — “Of those to whom much is given, much is expected.” Does the legacy passed on to us by our, largely immigrant, forebears require some effort to carry on the values that were passed on to us? Monday, July 3rd, 2017, by Daniel and is filed under "Ideas, Politics ". You can leave a response here, or send a Trackback from your own site. 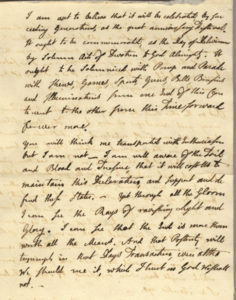 I see many of the words of the song “Is Anybody There?” from 1776 in his letters. This essay brought me to tears. We are never too old to become patriots. I grew up in a very poor family, but we all learned one very important lesson from our Mom: no matter the neighborhood, whether rich or poor, no matter the race or creed or who others worship, our full-time job is to be the best neighbors on your street. We lived in some pretty dicey neighborhoods, but we never had a conflict with our neighbors–ever. This is done on a tiny scale–one person at a time. I have no delusions that I can change the world, but it is my choice to make my little corner of the world the best little place on earth. This lesson has served me very well. Thanks Mom! Thank you … lest we forget.